Pacific Union would like to applaud the efforts of Nick Cooper and many of our other Bay Area and Los Angeles real estate professionals for their work helping to build homes where people need them most. About six years ago, San Francisco-based real estate professional Cooper founded the Home For A Home program, which enables real estate professionals to donate $200 of their buy-side commissions to pay for the costs of construction to build a home for a family in Guatemala, a country in which more than 1.54 million people lack adequate housing and more than half of the population lives on less than $2 per day. Once a professional has accrued $3,700, preparations for construction begins, and a family will soon have a new place to call home. When asked why he founded the program, Cooper explained that he sought a new way to find purpose beyond his career. “I wanted to find a way to bring more meaning into my career and a way to use my business to tangibly help those in need,” he said. Cooper said that it typically takes two to three weeks to construct a home depending on weather and road conditions, as many of the villages that Home for a Home works in are remote. The program partners with several Guatemalan organizations to build the homes, which offers the additional benefit of providing jobs in the community. 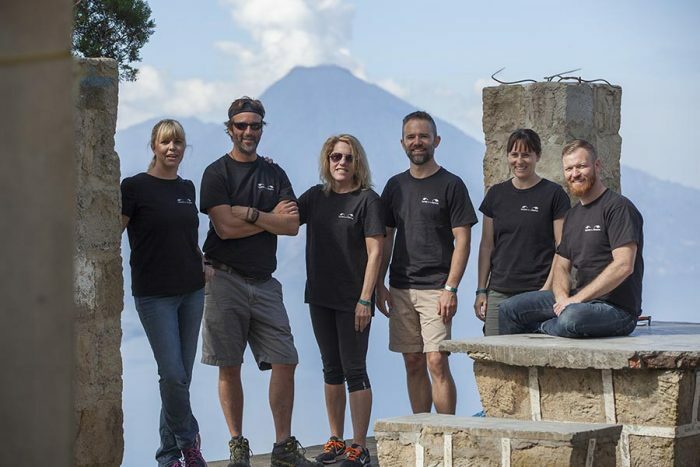 Once a year, members of the group travel to Guatemala themselves to help construct homes and meet the families that benefit from their efforts. Currently, Home For A Home has 100 members from about 30 different real estate brokerages, mostly in Northern California but also on the East Coast, the Midwest, and Hawaii. Nearly one-quarter of the organization’s members are Pacific Union real estate professionals based in both the Bay Area and Los Angeles. Cooper says that most Home for a Home recruits hear about the program via word of mouth, social media, and speaking engagements. Real estate professionals who are interested in joining the program can request more information here. Others who want to help Home for a Home continue its mission in Guatemala can donate on a one-time or recurring basis on its website.